After her arrival in US, Yenii became a certified dental assistant in 2006 and work in an Ortho office until the summer on 2013 that she enter Hygiene school at the Valencia College. She graduated in 2015 and has been working as a hygienist since then. She joined our office part time in November of 2015 and now is here every day of the week. She really enjoys making teeth feel healthier. She is married to Yendry and together they have two handsome boys. When Yeni is not in the office she enjoys spending time with friends and family. You can usually find her and her family at the local parks or on any of Orlando's 5 to 10K races. Carlos 26 years old, was born in Colombia and raised in Upstate New York. He attended the Dental Assisting School of Rockland NY and graduated in 2013. He is certified as an Expanded Functions Dental Assistant. 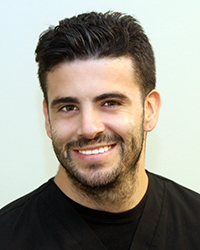 Carlos is very passionate about teeth and loves to learn everything that he can when it comes to Dentistry. As much as he is dedicated with Dentistry and making his patients happy, Carlos is also equally passionate about everything soccer. During his free time he enjoys playing soccer in many different leagues throughout Central Florida. You can usually find him on his spare time watching, reading or playing soccer. 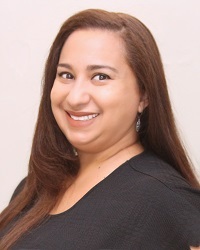 Nitza was born in Puerto Rico and raised in New Jersey. She has been in the Dental Field for over 20 years. 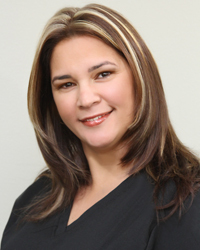 She became a Certified Dental Assistant while attending her senior year in High School and through the years has transition to the Administrative part of the Dental field. During her free time she loves spending time with her family and friends. They enjoy visiting the beach, amusement parks and having dinners together.